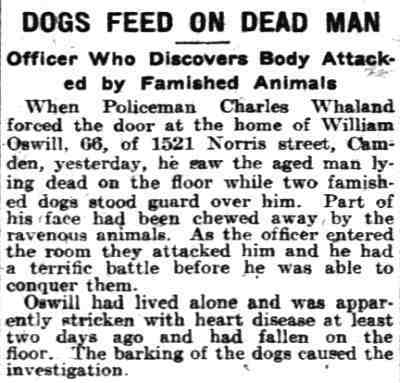 CHARLES W. WHALAND was born on June 6, 1876 to Mary and William H. Whaland. His father had served during the Civil War, mustering out as a Sergeant with Company B, 121st Pennsylvania Infantry on June 2, 1865. 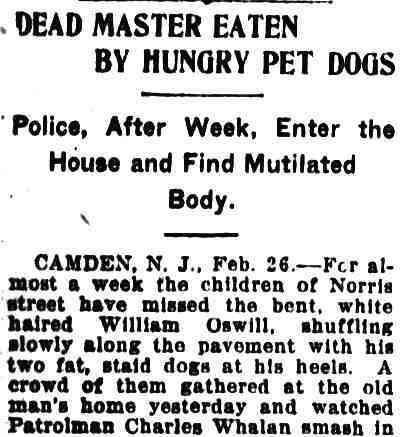 He lived in Philadelphia into the 1870s, and was living there with his mother and his sister Abby when the Census was taken in 1870. He married his wife Mary at some point after the 1870 Census was taken. 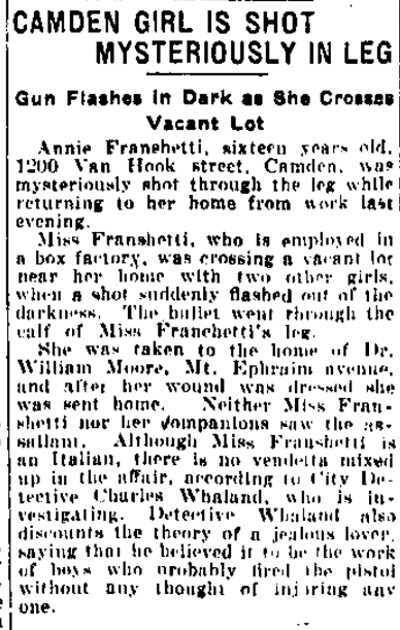 The census does not indicate a profession, but by 1876, when he had already moved to Camden, William H. Whaland was working as a bricklayer. The 1879-1880 Camden City Directory shows William H. Whaland living at 628 Cherry Street. 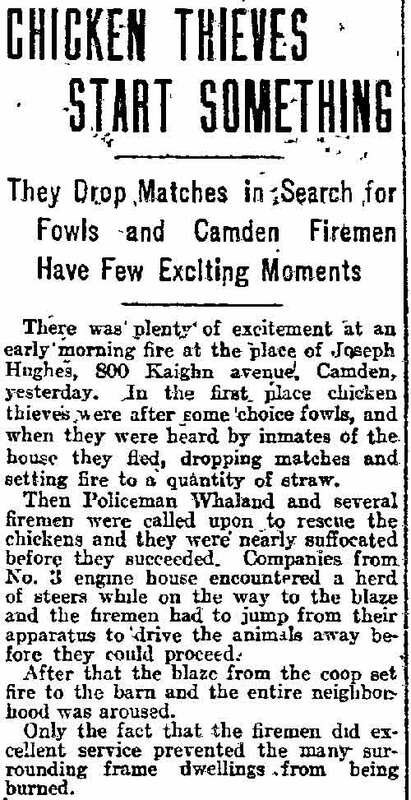 William H. Whaland was appointed to the Camden Fire Department in the spring of 1884 to serve as an extra man with Engine Company 2. He replaced Charles Fitzsimmons. 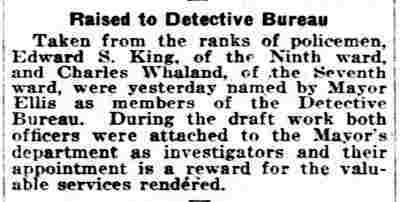 When the Fire Department was reorganized on July 1, 1885 and eighteen of the extra men were laid off, William H. Whaland was among that number. Street was renamed Clinton Street in 1882. 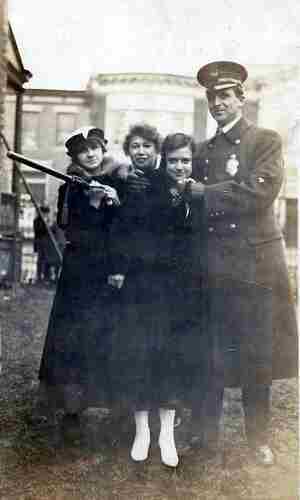 The family at that time consisted of William H. Wahland, his wife Mary, and children Lillian, Charles W. Whaland and William K. Whaland. 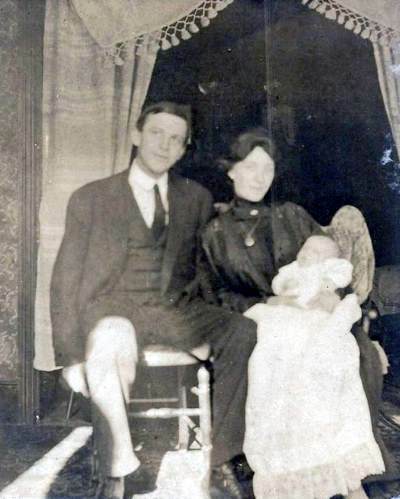 Another son, Harry, was born in 1881. 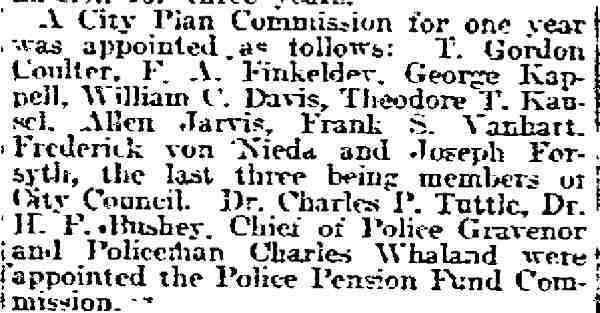 The family moved to 721 Walnut Street prior to the compilation of the 1881-1882 City Directory. 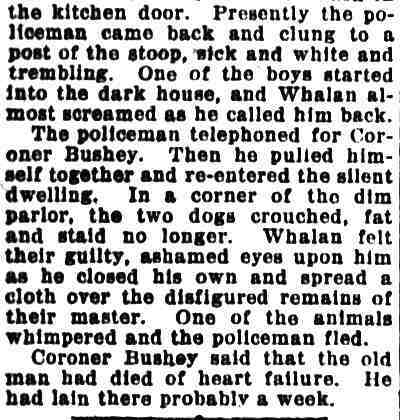 By the middle of 1882 William H. Whaland had moved to 717 Walnut Street. 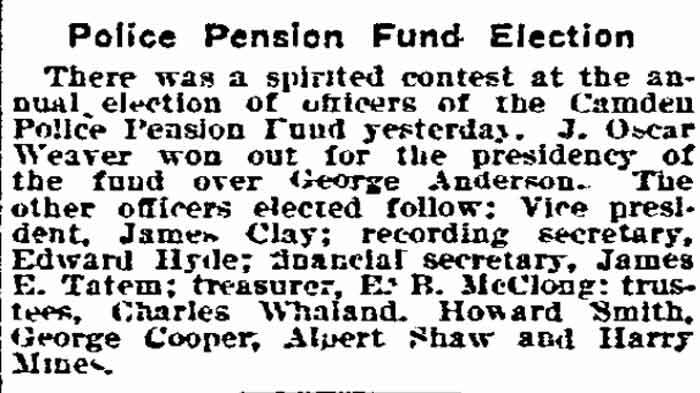 On September 16, 1900 William H. Whaland was awarded an $8.00 per month pension for his Civil War Service. 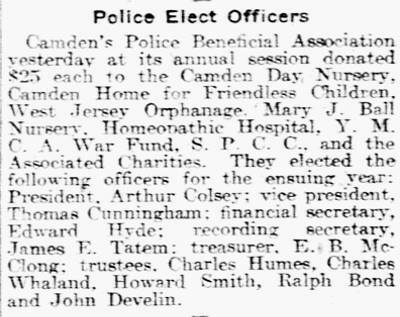 Charles Whaland appear in Camden City Directories in 1896. In that year and the following his occupation is listed as salesman. 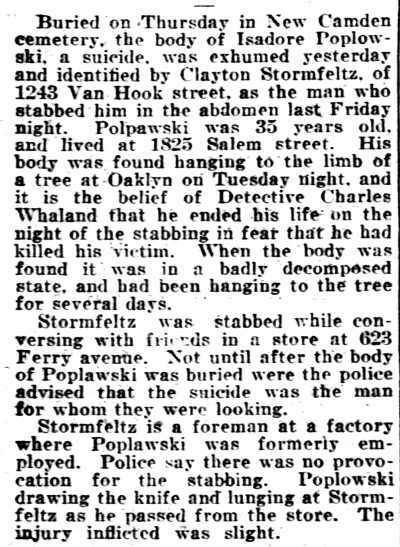 In 1898 and 1899 he worked as an umbrella maker. 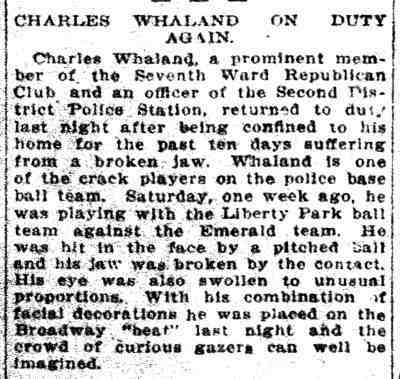 From 1900 through 1905 Charles Whaland is listed as a foreman. He does not appear in the 1906 or 1907 Directories. 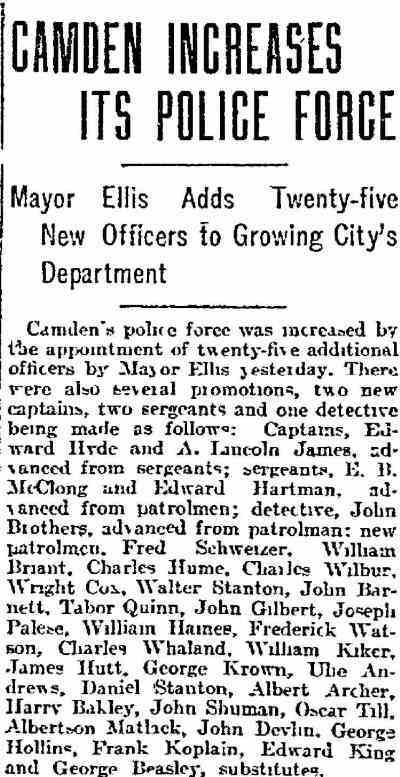 On January 1, 1908 Charles W. Whaland was one of 25 men appointed to the Camden Police Department. 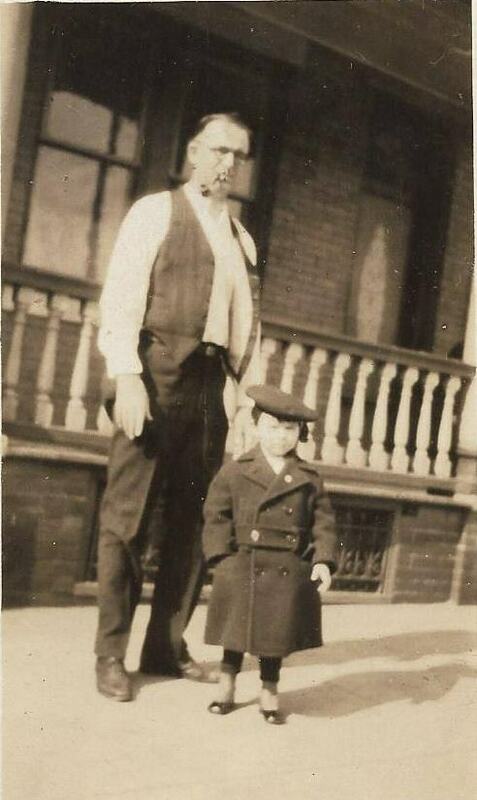 Census records indicate that Charles Whaland was still residing at 717 Walnut Street as late as the summer of 1910. 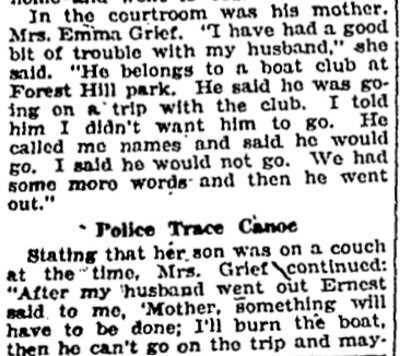 By the time the Census was taken, his mother, Mary Whaland had passed away. 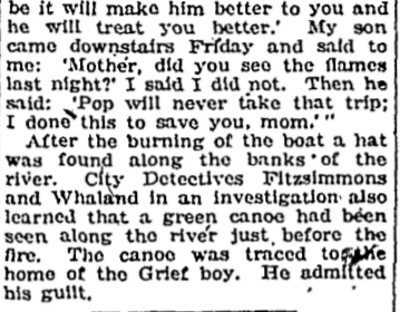 His father William H. Whaland was also still living at the Walnut Street address as was brother William K. Whaland, an umbrella cutter. 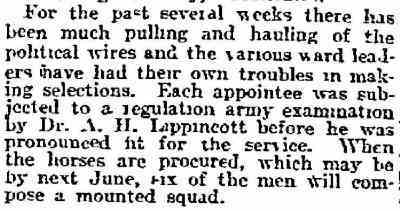 Youngest son Harry had married Harriet Davis and was working as a telegraph operator. 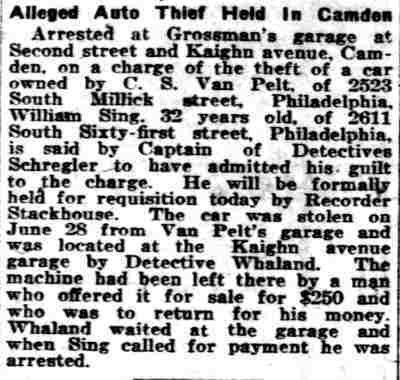 By 1914 Harry Whaland had become a lawyer, practicing in Camden. 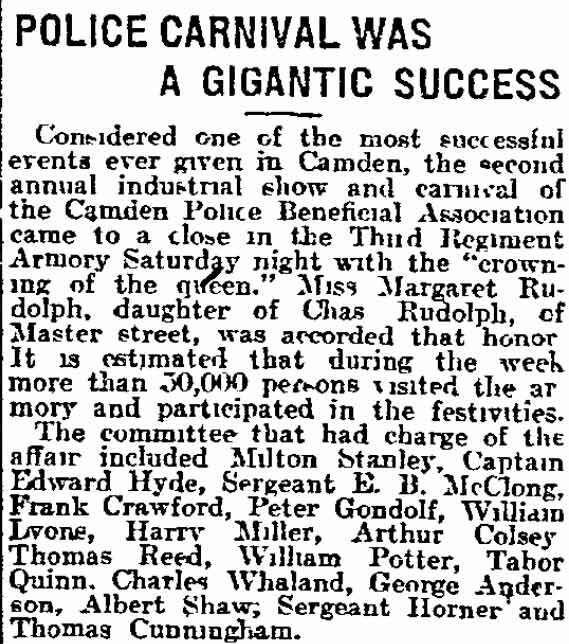 By 1920 brother William K. Whaland had also joined the Camden Police Department. 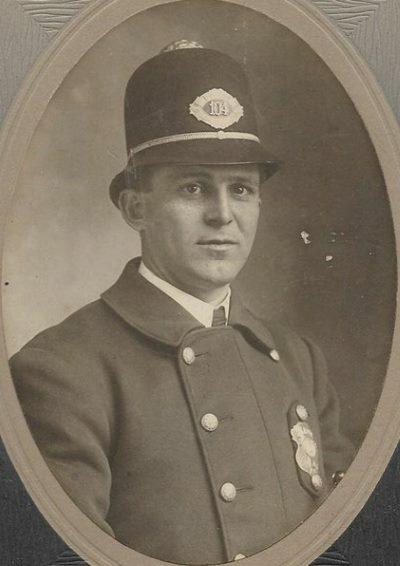 Charles W. Whaland served approximately 20 years with the Camden Police Department, and had been promoted to the rank of Detective by January of 1920. 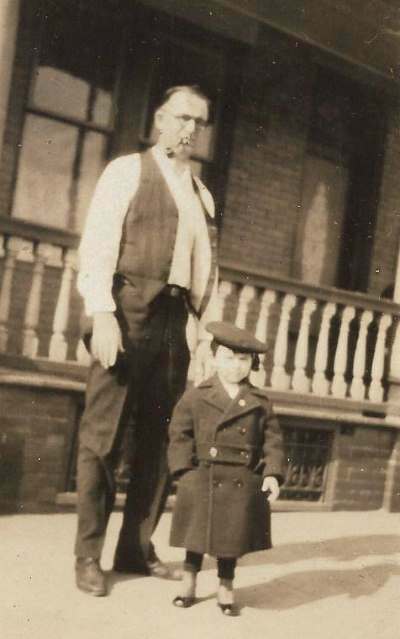 City Directories show addresses at 1421 Mount Ephraim Avenue in 1912 and 1913, 1027 Atlantic Avenue from 1914 to 1920, and 1147 Whitman Avenue in 1927 and 1928. 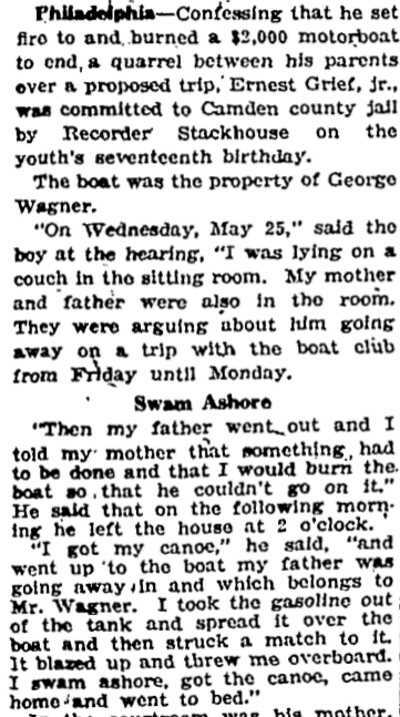 Charles W. Whaland Sr. had retired and moved to Quakertown, Pennsylvania by October of 1931. 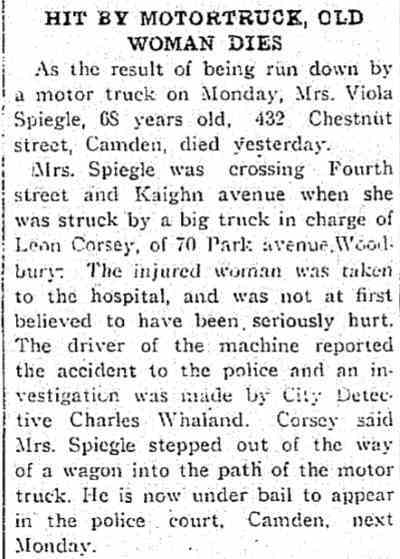 He died as a result of a cerebral hemorrhage in Quakertown, Pennsylvania on November 27, 1931. 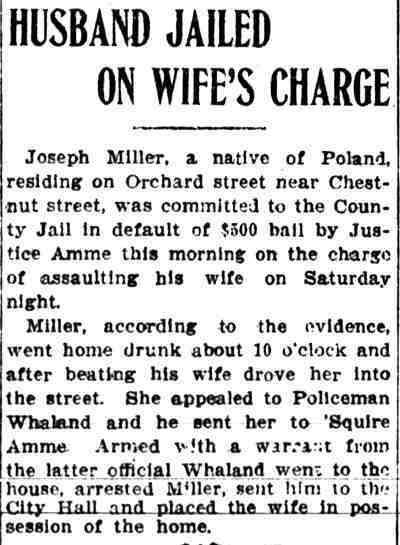 Clara Bell Whaland, and Charles Whaland Jr.